To my mind, those most at risk from this vulnerability are organizations that have not done a good job separating their wireless networks from their enterprise, wired networks. I don’t see this becoming a major threat to most users unless and until we start seeing the availability of easy-to-use attack tools to exploit this flaw. Those tools may emerge sooner rather than later, so if you’re super concerned about this attack and updates are not yet available for your devices, perhaps the best approach in the short run is to connect any devices on your network to the router via an ethernet cable (assuming your device still has an ethernet port). From reading the advisory on this flaw, it appears that the most recent versions of Windows and Apple’s iOS are either not vulnerable to this flaw or are only exposed in very specific circumstances. Android devices, on the other hand, are likely going to need some patching, and soon. 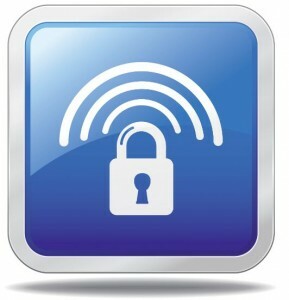 If you discover from browsing the CERT advisory that there is an update available or your computer, wireless device or access point, take care to read and understand the instructions on updating those devices before you update. Failing to do so with a wireless access point, for example can quickly leave you with an expensive, oversized paperweight. Finally, consider browsing the Web with an extension or browser add-on like HTTPS Everywhere, which forces any site that supports https:// connections to encrypt your communications with the Web site — regardless of whether this is the default for that site. For those interested in a deeper dive on the technical details of this attack, check out the paper (PDF) released by the researchers who discovered the bug. This entry was posted on Monday, October 16th, 2017 at 4:43 pm	and is filed under Other. You can follow any comments to this entry through the RSS 2.0 feed. Both comments and pings are currently closed. What can we do to prevent these kind of attacks? Recently my website (https://www.allbankswiftcodes.com/) was attacked and was down for two weeks straight. I am not sure if this is a relevant question to post here. But what can I do to prevent such attacks in the future?